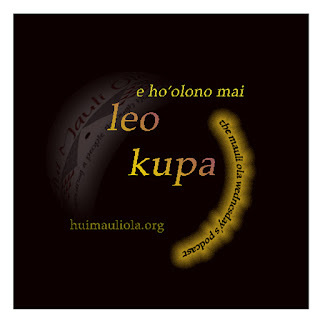 Makua O`o : Is that you? From under my hoodie I filled a bag with baby green spinach. "Is that you, Mokihana?" it was the voice I knew as my friend the Produce Lady. "Haven't seen you for awhile," she said as I continued to fill the bag from some foggy place not quite here, or there. I explained about the Scotch Broom, and my isolation from it. "Oh yeah, I think Peter told me about that." "It's my first day out, whoa. Another world out here." She laughed and commiserated. I felt heard. I laughed at myself as I tried to reorient myself to life outside the woods. Shopping for a meal wasn't going easily. Spinach wasn't quite enough for us. The choices and the stimulation: I was already running out of breath. My short excursion out of the woods was an experience with the wantings: the impatience with the time necessary to heal and re-enter the world. Even now, this tidbit of post is a drive to prove (to myself, and to my unknown audience) that I am still here. You, I tell myself and my gods, 'It is me." But, really, the me is changing and transforming. I push up against the limits my body says is too much. "But," I say, "I love the words so much. The story wanting to be offered up from this imperfect place." Writing this, and thrilling from the simple act of hitting the Publish key is part of the wantings in the immediate. The glamour of the blog. Different from my handwritten musings, and chapters to a medicine story. "Is this enough for now?" "Yes," I say to the Invisible Spark that dispenses Hope and Humor. "Enough just to see how my fingers love the exercise of pressing keys and expressing art." "Is this ono (delicious) enough for the gods within me and in the channel of the cyber?" I ask myself, and speak the chant. I wait, a little, and listen. And then I am here at the keys with answers pouring out. The image and link that begins this post was a gift sent to us from our son, Christopher Kawika. This inaugural podcast with Kapono Souza was such a perfectly timed message. The young feeding the Akua within others, and I was in just the space to receive. Kapono's mana'o (his story) was familiar to me: asthma as a young child, invisible friendship, and the journey to 'find wind.' From the edge of the woods of a Salish Sea a rootlet of sustaining health was uncovered, and I find a way to grow from there. The words below are from Terri Windling, writer and blogger who has helped so many times, has an archive of writing and meaningful explorations about 'Illness and healing" on her space Myth and Moor. They are words that are reaching me across the threshold of a slowly transforming self. "The sense of diminishment we often experience in the grasp of the Unknoweable, the face of the uncurable, probably has something to offer us from a spiritual perspective, but in the secular world of [modern] America, it is without meaning and so intolerable. That is why the first commandment in illness is to get well. Sick people are under tremendous pressure, from themselves and from others, to overcome their ailments, and return to life as usual in our fast-paced, production-oriented world." -"Illness and Healing"
"Although powerful work can be born of hard life experience, there are also times when calamity silences us: when shock, or grief, or sheer emotional exhaustion serves to snuff out one's creativity altogether. For those of us used to moving through life by breathing in the world and breathing out art, this silence is an unsettling, even terrifying thing. It is not quite the same thing as depression; it's more like finding the inner room where we go to create is now shuttered and bolted against us. It's like trying to speak without language. It's like living without breathing. It's not living at all." - "Re-kindling the Fire Within"
Legacy from rootlet or seed?